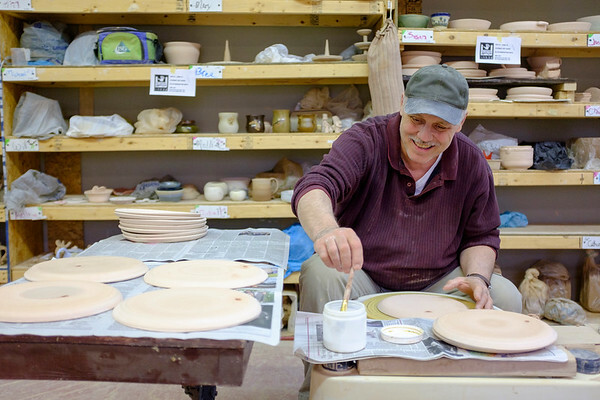 JOED VIERA/STAFF PHOTOGRAPHER-Lockport Art Company owner Russ Halstead works on a set of commissioned plates for Mile 303, a Medina restaurant slated to open soon. Halstead's business is located at 247 Market Street and offers of pottery classes almost daily. For more information visit Lockportart.com.